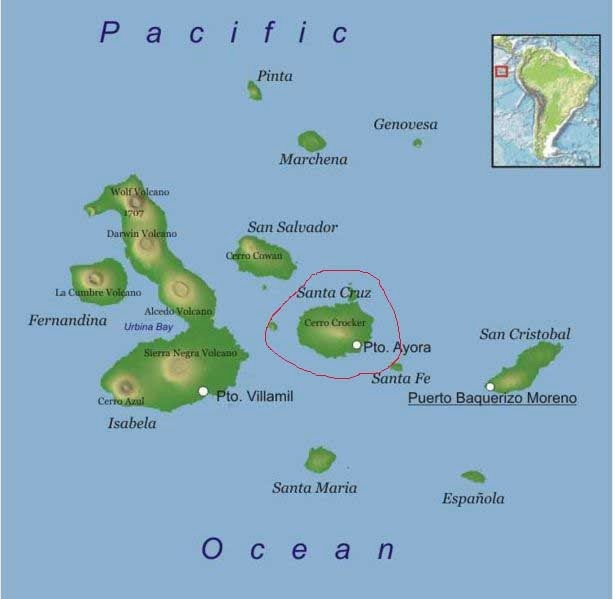 We land in Puerto Ayora on Santa Cruz Island. We’re told that the purpose is to visit the Charles Darwin Research Station situated at the edge of town – we know that’s an excuse to get us out of the way so they can re-provision the ship’s beer and wine stock. Amid all the pens of tortoises of all ages and sizes is a bust of Chuck Darwin himself. 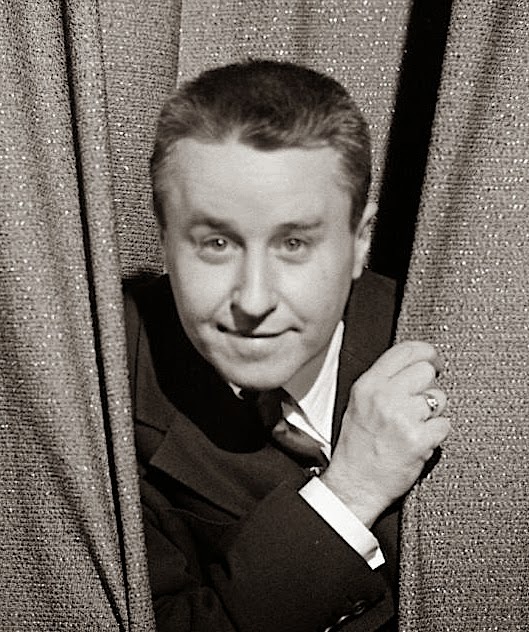 I always associated him with monkeys – not tortoises and turtles – shows you how little I know. The biggest and most luxurious enclosure appears to be empty. We all squint looking to find some turtle or iguana hiding in the foliage until we’re informed that the enclosure is deliberately empty. 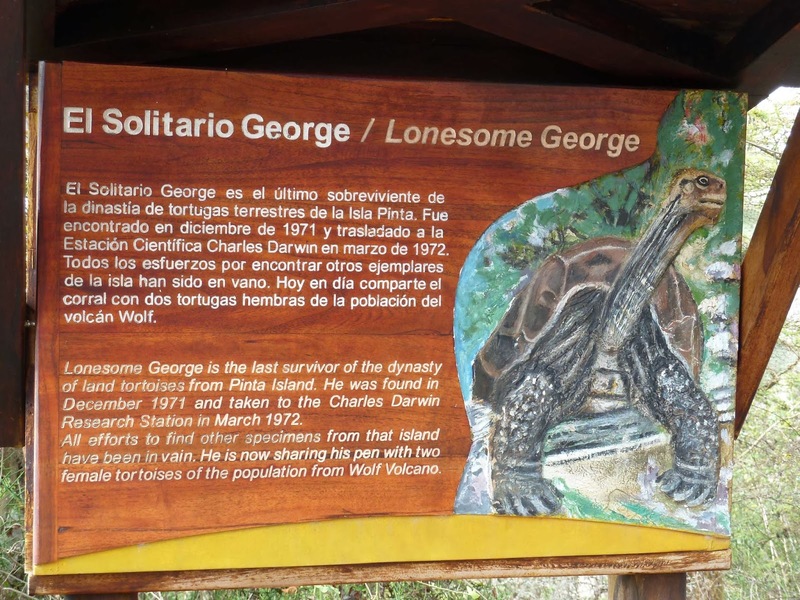 This particular enclosure was built for “Lonesome George” – not the 50’s singer and comedian who should have been locked up in a pen like this for some of the skits he did – but for a deceased Giant Tortoise bearing his name. This particular Lonesome George was reputed to be the last of his subspecies. George (The tortoise not the Gobel) was found on one of the Galapagos Islands in the early 1970’s. Over the years the naturalists pimped him out to a number of nubile female tortoises trying to entice him into reproducing. Finally they found a couple of cuties that George actually liked – unfortunately by that time George’s guys couldn't swim – and eggs were infertile. In 2012 Lonesome George was found dead in his corral. Several other tortoises were suspected by the authorities; but all of them had excuses and were actually ten meters away at the time and could never have made the return trip to George’s pen and back in the time frame attributed to his death. After taking the requisite number of pictures of the empty corral we retreated to town to buy souvenirs and check on how the crew was doing with the beer resupply. Sid suggested we buy our own supply – just in case. For the next two hours I walk around with 15 bottles of beer clinking around in my backpack. One interesting find in Puerto Ayora is the town’s open fish market – which caters both to human and animal customers. The humans line-up on one side; the birds and sea-lions on the other. If you get in the wrong line-up the pelicans let you know by flapping their wings in your face and sea lions nip at your feet, which is their way of telling you to take a number – like the rest of them! Pedro felt we hadn't seen enough tortoises on this trip so we embark on a trip deep into the interior of Santa Cruz to a farm where the tortoises run wild. Evidently the thrill of seeing these beasts in the wild would be a far more exhilarating experience then seeing them penned up. We were warned to be quiet lest we spook them and they withdraw their heads into their shell and pretend they’re a rock - opposed to when they have their head out and… look like a big rock with a little rock stuck in front of it. After our tortoise safari we withdraw to the ranch house where we actually have a chance to experience what it’s like to be a tortoise - something that was high on my bucket list. 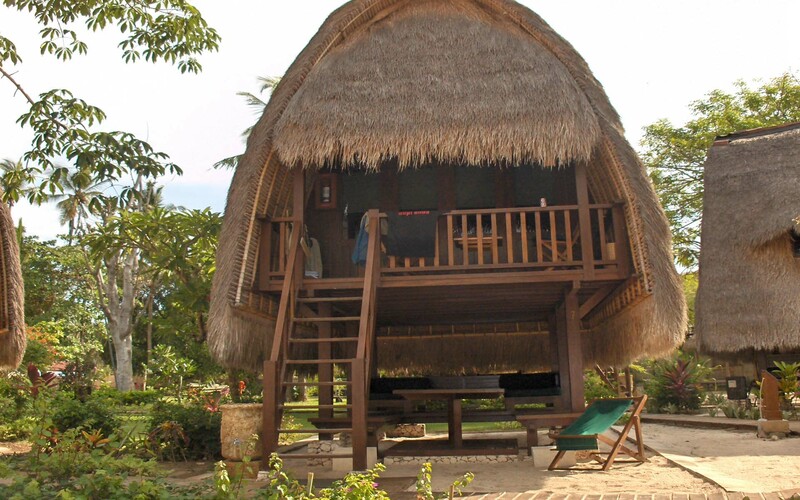 The ranch has several huge tortoise shells that had been left when the inhabitant had expired or downsized to a condo. We slither into the shells and attempt to move around. I never realized how heavy the shells were. It is like being stuck in a fiat 500 with your arms out the front windows and our legs out the back ones and trying to move the car. It adds a new perspective on the tortoise and hare race: the only way the tortoise would have beaten the hare was if he was in the fiat 500. After lunch (which thankfully did not include turtle soup) we visit some giant lava tubes in the highlands. These run for several kilometres and are big enough to drive a fiat 500 (complete with tortoise on the roof) through. They’re reminiscent of the Malinta Tunnel on Corregidor in the Philippines - except the one on Corregidor was man-made and General MacArthur lived there for a while. Other than that they’re virtually the same. They've strung electrical lights the length of the tunnel – otherwise it would be darker than the inside of a cow. I ask how often the power goes out. Pedro is somewhat obtuse on the subject. There is also a large cave-in ahead. I point out that if the worst happened we wouldn't go thirsty – I still have 12 bottles of beer and a flashlight in my pack. Sid won’t admit to how many he’s carrying. The group opts to not walk the entire length of the tunnel and scurries back the way we came. Back on the boat we’re informed that there is an adequate supply of beer on board and it’s safe to set sail for Santiago Island. Riding low in the water with resupplied beer we chug our way to Sullivan Bay on Santiago Island.